Chevrolet is a division of GM that was founded in 1911 by Louis Chevrolet. First called the Chevrolet Motor Car Company, the brand has become a staple of American culture and mobility. Offering unparalleled quality, affordable pricing, and state-of-the-art innovations, Chevrolet is now one of the world leaders in the automotive industry. Chevrolet was started on November 3, 1911, by Swiss race car driver Louis Chevrolet, who founded it with the help of William C. Durant—the head of GM. However, it wasn’t until 1913 that the first official Chevy model hit the market, and the famous bowtie didn’t appear in the logo until the 1914 H series models were introduced. In 1919, the brand was incorporated into GM, and Chevrolet became well-known for its quality trucks. Chevrolet continued to gain prominence through the 1920s, 1930s, and 1940s. 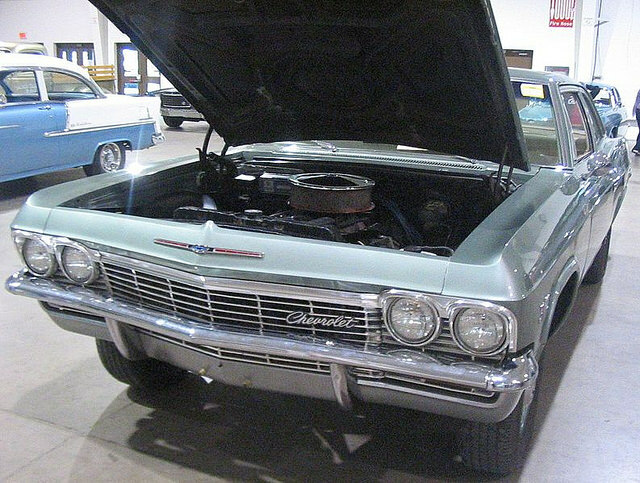 By the 1950s and 1960s, Chevrolet became one of the most influential brands on the market. The iconic Corvette was introduced in 1953, offering a sporty two-seater design with a fiberglass body. The fuel-injection engine was brought to the market in 1957, and by 1960, the classic Corvair appeared in show rooms. Over the past 50 years, Chevrolet has become not just an American icon, but a global one. In late 2010, Chevy created the plug-in hybrid Chevrolet Volt, which received awards such as the North American Car of the Year, the European Car of the Year, and the World Green Car of the Year. In October 2016, the Bolt EV was launched, giving Chevrolet the first truly affordable mass-market all-electric car with a range of more than 200 miles. Plus, vehicles like the Chevrolet Silverado 1500 and Chevrolet Tahoe continue to offer incredible performance and capabilities for a range of driving conditions. Visit Landmark Chevrolet to test any one of the many current Chevrolet models. Whether you’re looking for an eco-friendly vehicle like the Volt or Bolt, or a powerful truck like the Chevy Silverado 1500, there’s something for everyone.